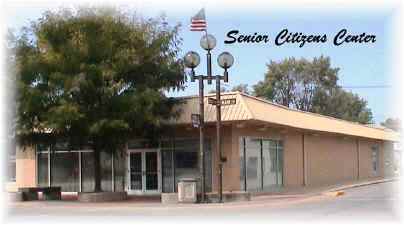 The Senior Citizens Center Program was established in 1974 and is funded by the City of Beech Grove. The center is also supported by donations and fundraising events. The building is named for former Mayor Elton H. Geshwiler, who served in that position from 1960 - 1991. All persons in the community aged sixty years or older are invited to participate in any or all of the activities provided. Services include: Transportation, Information and Referral, Health and Recreation, and Outreach Education. The center provides transportation for all Beech Grove Seniors, 60 years and older, to and from Doctors, Dentists, Beauty Shops, Barbers, Senior Center, etc., within the Beech Grove city limits. Transportation to the St. Francis South Campus and their surrounding offices is also provided. In addition, the center offers weekly trips to local grocery stores, monthly trips to Greenwood Park Mall, and various scheduled trips. The Senior Center building is also used for many community and city events such as public meetings, the Parks Department's Halloween Costume Contest and Visit with Santa, Town Hall Meetings, and the Relay for Life Chili Cook-off. Monthly reports are presented to the Board of Public Works and Safety. Reports from prior years can be found under Archived Documents.